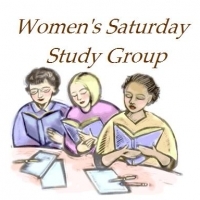 The first Saturday of each month from 9:00 A.M. to 11:00 A.M. the Women's Breakfast/Discussion group is meeting. Our last meeting of the school year will take place on May 4 at the home of Jane Dodge (16868 S. 18th Way (480-550-7134). We will discuss what to study next year and take time to pray through the church prayer list. Please bring a breakfast item to share.